Harlan W. Robins is a Member and Practice Department Manager for Real Estate, Environmental, and Energy & Sustainability in Dickinson Wright PLLC’s Columbus office. He assists clients in the acquisition of land, development and leasing for office, hotel and shopping centers and joint venture formation. Mr. Robins represents lenders in complex, multi-state workouts, deeds-in-lieu of foreclosure and foreclosure of real estate-secured loans, loan modifications and loan origination for permanent and construction financings, as well as mezzanine financing. 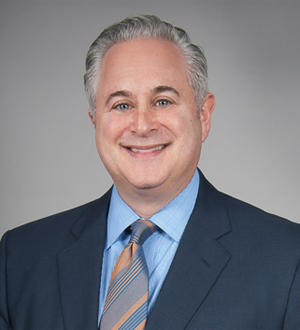 He has extensive experience in debtor-in-possession financing and performs real estate-related counseling in corporate bankruptcies and reorganizations. Mr. Robins is active in the legal and civic communities. He serves as Chair of the Grants Oversight Committee and Treasurer of the Columbus Jewish Foundation. He is Co-Chair of Dickinson Wright’s Diversity Committee and is a member of several bar associations including the American Bar Association and the Ohio State Bar Association. Mr. Robins is recognized as a leader in his field by Chambers USA, Ohio Super Lawyers, Columbus Business First, and Columbus CEO. He received his B.A., with honors, from the University of Michigan and his J.D., with honors, from Emory University School of Law.